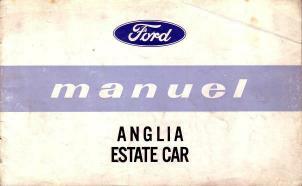 A 205 x 125mm - 24 page owners handbook for the Ford Anglia Estate model. The handbook is in French. 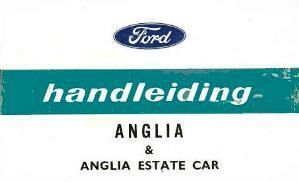 A 205 x 125mm - 34 page owners handbook for the Ford Anglia Estate model. The handbook is from Belgium. 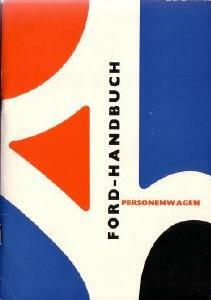 A 145 x 210mm - 32 page German Ford owners handbook. A generic owners handbook that covers all aspects of car ownership without being specific to a particular model. 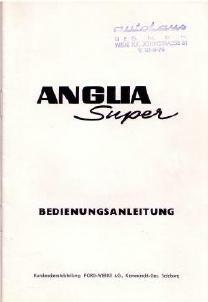 A 140 x 200mm - 18 page German Ford owners handbook for the Ford Anglia Super Saloon. A supplement that was supplied with the generic owners handbook (see above).